Cazino Cosmos is a 5 reels and 20 Paylines slot Machine developed by Yggdrasil gaming limited. 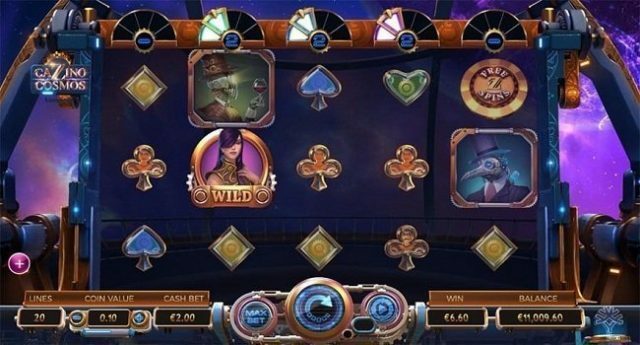 The casino is playable at devices like mobile, tablets as well as on desktop with coin sizes of 10p per spin to up to €£20 per spin. The slot offers a jackpot of 11,821 times on your total stake and it also provide you a free spin feature which could get you 10 to 20 free spins. There are 2 bonus rounds available in the game. Play this slot using your mobile phones or desktop at any listed Yggdrasil online casino sites. Cazino Cosmos slot is a follow up slot of Cazino Zeppelin slot. In this video slot game, players have to go to the outer space, where you will join formidable matriarch Stella on a mission. Cazino Cosmos is a superb online casino slot game which has a great feeling if played for real money. The reels of the game includes spades, hearts, clubs and diamonds as well as some aliens like Wineman, Hatman and catman. The fellow with bearded is the most lucrative symbol as it reward you 200 times on your total bet if you land 5 of these symbols across your paylines. Matriarch Stella is the wild symbol in this game and it will replace all other symbols on your screen except the scatter. 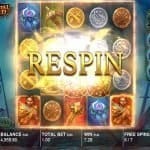 The game features a Free Spins feature. If you land 3 free spin symbols on your reel then you will get 10 free spins, 4 free symbols will get you 15 and 5 free sin symbols will reward you 20 free spins along with 4 times on your total bet. Not only this, but all wild symbols during this free spin feature will become sticky wild symbols and they will form winning combination for you. 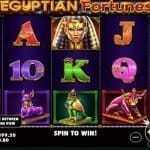 Cazino Cosmos slot also comes in with a Collections Free Spins feature. This feature is triggered when you land 5 wild symbols on a single reel. 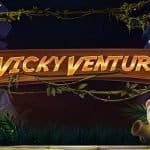 This feature is just like free spin feature and the only difference is in Collection free spins is they begin with wild feature or extra free spins. You can win a whooping 11,821 times on your total bet if lucky enough to get a good winning combination on any of your free spin or regular spin.